You can’t shake it: daily weariness, constant stress, a heart consumed with grief or loss, a deep desire to realize a dream, a buried longing for change. Spiritual Bathing helps you transcend limitations and negative thoughts or helps you manifest desires. It reconnects your ch’ulel, your life force, so you can live to your fullest potential. Browse the Spiritual Baths below. Call me to customize a bath specific to what you need. Healing starts when you are open to receive. Heading into cancer surgery, I was really scared. A friend gave me a Spiritual Bath with Jan. During the bath I heard her call upon all the women in my life who had passed, to protect me in my upcoming surgery. Immediately a powerful wind came up from nowhere and blew strongly! It was an amazing and unexplained spiritual moment. I truly felt my angels were with me. The next day before my surgery, I was calm and felt safe knowing, in my heart, I was being watched and protected. The Spiritual Bath washed away all my fear, anxiety, and stress. It made a huge difference in my surgery experience and in my healing afterwards. A clean house or workspace is vital to your well-being because everything is energy. Negative energies can get locked into the walls, floors, and ceilings as well as the exterior perimeter of a space carrying years of unknown history from generations living there before you. Old energy can create havoc, sleep issues and an uneasy feeling in rooms and closets. Clearing the space releases stuck and stagnant energy and keeps the space protected and harmonious for all who dwell there or enter into the house. A house blessing ceremony is a beautiful newlywed gift or for anyone moving into a new home. 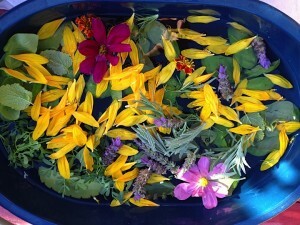 Book this bath – $300 For more about space clearing and house blessings, click here. Last week, Jan gave my sweet Parker (who is terminally ill) a spiritual healing bath and it was an amazing experience for all of us! Shy Parker (who never lets strangers near him, much less touch him) leaned against Jan for 45 minutes, calm and serene, as she prayed over him, bathed him, rubbed him, and wafted the copal incense over him. Today he is bright-eyed, cheerful and as energetic as his condition allows and I am soothed as well, finding the joy in each of his remaining days. Have questions? Don’t see a bath that completely resonates with what you’re feeling? I’m here to discuss moving you towards whole-hearted health. Gratis. It’s that important to me.